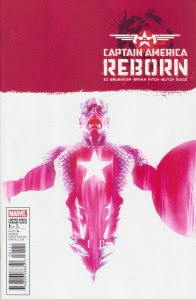 Diamond Comic Distributors began the monthly roll-out of comics sales information today with its release of the top ten sellers in the month of July for several categories, and the charts find Marvel's Captain America: Reborn #1 in the top slot, followed by DC's Blackest Night #1. With a top-ten chart that includes two more "Blackest Night" issues and 600th issues for both Amazing Spider-Man and Incredible Hulk (also an anniversary for Tales to Astonish, but who's quibbling), the recent spate of comparatively event-free months seems to be past. As can be seen from the link, these are just the top ten, not indexed; more will come later. We can see from this that only one item was at $2.99 in the Top 10 comics list; all else was at $3.99 or $4.99. Last July — a month with relatively fewer "big event" issues — all but two books were at $2.99. However, Top 300 comics unit sales last July were at 7.2 million copies, one of the better months for the year, so there still could be some steep comparatives overall. The Top 10 Publisher market shares can also be seen; the rankings for both units and dollars were Marvel/DC/Dark Horse/IDW/Image/Dynamic Forces (Dynamite). Interestingly, except for Boom and Viz flip-flopping in the unit and dollar lists, the rankings within the two lists were identical. This doesn't happen often, and could be associated with a growing parity between unit and dollar shares between companies. When there was a lot of divergence on pricing, we'd see publishers with much higher dollar shares and lower unit shares and vice versa. We may be getting more cost-covergence as the market looks toward $3.99.